inkingpink: Announcing The Official Cricut Blog With A BIG Giveaway! Announcing The Official Cricut Blog With A BIG Giveaway! I have such enormously exciting news to share with you! Strap yourself into your chair because you are going to be blown away by this announcement and all of the details! Lets start with the "jump for joy" news that there is a brand spankin' new blog in town! The official Cricut blog sponsored by the cricut circle is going to be THE PLACE to visit each and every day, for inspiration, information and amazing prizes. The blog goes live Wednesday May 18 and we want you to join us in the celebration! To help spread the word about the Cricut blog grab this blinkie and post it to your webpage, your facebook, your blog or wherever you can! Shout it from the rooftops, let everyone know how excited you are!!! How about some goodies to get the celebration going! Provocraft has generously offered a prize if you become a follower of the official Cricut blog, and of Inkingpink, you are automatically entered to win 150.00 in Cricut.com credit!!! As a bonus to my new followers I will be giving away THREE Cricut cartridges!! Be sure to let me know how to get a hold of you and that you are following both the cricut blog, and my blog by leaving a comment on this post. If you are a Cricut lover and have not heard about the amazing Cricut Circle, be sure to check it out! I'm headed to the Cricut blog now...see you there! I am a follower! And will definitely be following the cricut blog when it's up! Thanks for the chance to win! Yipee! I posted the blinkie on my blog! It sounds like a fun blog visit and plan to be a follower as soon as I can clink it! I just hate that it will be about 2am here when it is up and running.. but I will definitely be a follower of it... fun fun fun. I'm following you and have a note to follow their blog publicly as soon as it goes live!!! So excited! This has been a long time coming!!! I was there to become a follower as soon as it debuted this morning!!! I just finished leaving comments on all three of the opening posts! I was already a follower of your blog and I'm now a follower of the Cricut blog! Thanks for the chance to win Shantaie!! Here I thought I was already following, and to my horror, I discovered I wasn't! Love your work!!! I have been one of your followers for a while and am now a follwer of the new blog... can't wait to see all the new projects and inspirations ! I am so sxcited about the new blog. Can't wait to see what the DT comes up with for Hello Thursday! Love your blog! I have been a follower since you began on the circle blog. Thanls for the info on the new blog. I just signed up! Just wanted to let you know that I am now following the Official Cricut Blog! WhooHoo! I'm following the new cricut blog too! I'm so excited. I can't wait to see what they come up with. I love your blog anyway because you always create such great things but today I love it even more...you told me about Cricut's blog...I'm a seasoned follower of your blog (I get mad at my inbox when it thinks your posts are junk) and now, thanks to you I'm a follower of the cricut blog. THanks again. Awesome, I have followed your blog since the launch of the Cricut Circle Blog - I love all the inspiration!! Just joined the new Cricut blog and e-mailed all my girlfriends. How exciting! I already follow your blog and now follow the new Cricut blog. Thanks for a chance to win. I am a follower of your blog and love the new Cricut Blog. Thanks for the info. Hadn't heard about Cricut's new blog. Took a peak and signed up. Have been a follower of your blog and enjoy it. Thanks for spreading the news! I have been a follower of your blog and love it and have just became a follower of the new Cricut Blog! Woohoo PC! I am already a follower of both blogs and really excited to see more! Fabulous!!! I have a Cricuit Expression and I haven't turned it on yet. I'm looking forward to what the new Cricuit Blog has to offer. I just know I'm going to be creating great projects soon. I follow both blogs. Thank you for sponsoring this opportunity, you're awesome. What a great giveaway!! I'm so happy cricut started their own blog! I have been following your blog for awhile now and will follow cricut as soon as they get their follower box fixed (it is a blank box with nothing to click on right now) but I did subscribe to them! Yay! Thanks again for doing such awesome giveaways! You know how much I love you already! So of course I am a follower here and I just joined over at Cricut's Blog! I always love your work and style! Thanks for giving away some yumminess! I am a follower and have put the blinkie on my blog. I am also a follower of the Cricut blog. Thanks for the chance to win! I am a follower. I will put the blinkie on my blog. Nice give away. I love your work, so happy to have found you! I am now a follower of your blog and love your creativity. Thanks for the chance to win wonderful prizes. Just found your blog. Love your work. I am officially a follower. Thanks for the chance to win. I am following both blogs and LOVE all the inspiration so far! Thanks! I am following both blogs and love all the ideas presented on all of them. So excited to hear of the cricut blog. I am now a follower of both your blog and the cricut blog. Thanks for the chance to win. How exciting. I am a follower of your and now am following the Cricut blog. I already grabbed the blinkie and posted it on my blog. thanks for a chance to win. I am now following both blogs and would love to win! I have been one of your followers for a long time and enjoy your blog daily. I am now a Cricut blog follower. How exciting! I am a follower of your blog and the new Cricut blog! Thanks for the chance to win! Love your blog, now between the circle, here and the new blog WOW!! lots of inspiration and fun. I'm a follower of your blog and was really excited to become a follower of the Cricut blog. I can be reached at firstnamelastname at aol dot com. Thanks for the chance to win! I am a follower of your blog and a follower of the Cricut blog. Additionally, I but the Cricut link on my blog. Thanks for the chance to win some goodies. Wow. Can't wait to see all the exciting things on the cricut blog. I am now a follower of your blog and the cricut blog. Now following your blog shantaie...love your work on Circle Blog and didn't realize I wasn't already following you! I am now following the Cricut blog too. I also posted the new blinkie on my blog! Wooohooo ! I am your # 500 Blog Follower. Thanks so much for all your inspiration !!! I am very excited about Cricut's new blog. I am now following both blogs. Yeah!! love both blogs and am following both!!! thank you so much! this is going to be awesome!!! I am following your blog as well as the new Cricut blog and the Circle blog! I think this is going to be quite the adventure! Excited to be following both blogs. Excited about the new blog. I posted “blinkie” on my blog, and shared on facebook. woot woot! I'm a follower of both you and the new Cricut blog. so fun!! Wow - amazing prize! I am now following your fab blog as well as the new Cricut blog...also shared with my scrappy friends on FB. Very exciting news!!! I'm a subscriber to your blog and am trying to subscribe to the cricut blog, but so far it isn't letting me. Will try again!! I'm so excited!! 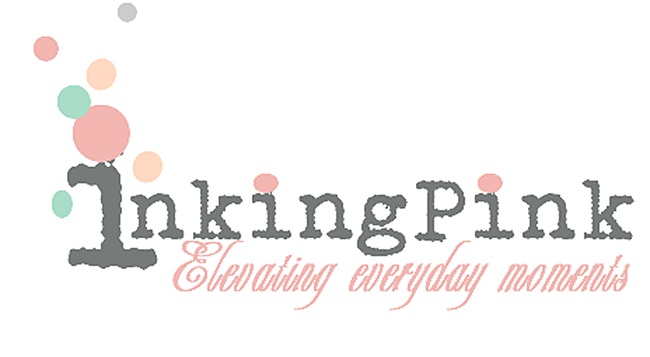 I'm a follower on both blogs and posted the blinkie on my blog!! So cool! I am a follower and the blinkie is on my blog! I am so excited and this is amazing. I love my Cricut community! I am a follower of your blog and the new Cricut blog. I have the blinkie on my blog!! I'm a follower of both yours and Cricut's blogs. also posted on FB. I am a new follower to your blog and a follower of the new cricut blog. Thanks for the chance and a great blog to go along with it. This is so exciting! I'm a new follower of your blog and I'm following the new Cricut blog, too! 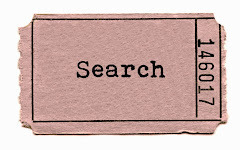 I also have the Cricuit bage displayed on my blog! Thank you so much, so excited about all the creativity and inspiration! Yay! I'm a follower of both blogs, plus I put the blinkie on my blog as well. Yippeee!!! I am now your most recent follower and I also follow the new awesome cricut blog... I added the blinkie and another link on my blog here... http://scraphappyeveryday.blogspot.com/ thanks for the opportunity to make getting the new E2 that much sooner! I am a follower of both blogs. I subscribe to your blog and also today checked out the new Cricut blog. Thank you so much, your blog is wonderful and looking forward to the new C blog. So excited! I follow both blogs and posted about it on my own. Of course I am following the wonderful new Cricut Blog, it will be awesome. I also posted that blinkie on my blog. Yipee, I hope I win the $150 at the Cricut store so I can get my Imagine. And for whomever was behind me getting project of the day today thank you so much, you have no idea how happy it made me. Can't wait to see what great ideas come from the Cricut blog. I am now a follower of both yours and the Cricut blog. Thank you for the extra bonus too! I posted the blinkie!! So exciting! I am a follower of both blogs. Thank you for the awesome opportunity! I am a new follower. I am following the cricut blog too. Found your blog from the cricut. In love your work looking forward to following you! I'm excited to be following your blog now and I am now following the new Cricut blog! Love all of your projects! I am so excited!!! I am a follower of both! Im a follower of both and posted on facebook. I love the circle blog. Looking foward to this new one. Excited to have found your blog and the chance to win! Good luck! new Cricut Blog. I am so looking forward to see all they will be sharing with us. gamasget-a-way.blogspot.com I posted the Blinkie. Thanks for the chance to win and I look forward to the new blog!! I'm a follower of both blogs too!!! How awesome is this......excited about Cricut starting a blog. This is really cool love the cricut blog already I am a follower of your blog and the cricut blog looking forward to great ideas. I'm quite excited to see a new Cricut blog and to find yours as well!! I am now a follower on both! Hi! I'm now a follower of both the Cricut blog and your blog. Yay for figuring out google reader! I am a follower of both blogs.Thanks for the opportunity to win! I follow both! I would love the chance to win. Thanks. Hi, I'm following both blogs. Always looking for inspiration and wonderful crafting. Thanks for the giveaway! I'm already with you and just joined the official Cricut blog. I am following both blogs. :) Thanks for the chance. I just love to see projects made with the Cricut! Wow what a nice giveaway. I am now a follower of your blog as well as the Cricut Blog. I'm glad that I found your site and really like the cupcake card that you made. It is much better than the inspiration one. Wow Provo Craft is really going out of there way thank you so much Provo craft . I am a follower of both blogs and cant wait to see all the amazing projects.. Thanks for the contest! I signed up to follow both blogs and looking forward to more crafting ideas! I have the blinkie on my blog! and I am following the Cricut blog and this blog. thanks for the chance to win. I'm a follower of you blog now and the new cricut blog yesterday. Thanks for the chances to win! So exciting!!! I don't know how I missed your blog before!!! I LOVE looking at all your projects on the Circle Blog and messageboard! I'm a new follower now - so I won't miss anything!!! Love your blog and all the great projects you share with the Circle. I am following your blog and the new cricut blog. Following both blogs now. Thanks for the great giveaway! I'm following both blogs as well! I've always enjoyed your projects. Well, I was already following your fab blog of course! I am following the cricut blog too. I am now following both your blog and the Cricut Blog. Thanks for a chance to win. Follower on your blog and cricut blog. Thanks for the chance. I am a follower of your blog as well as the Cricut blog. 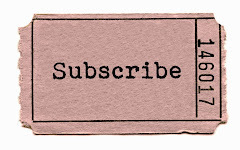 I am also a subscriber. Thanks so much for the chance to win. Following both blogs, thank you for the chance to win. I am following both Cricut Blog and your blog. I just added to receive your posts through email... Thanks for the chance to win and I love your blog!! I am a new follower here and also on the new cricut blog. You have some wonderful ideas! There are so many great places to follow with such great ideas...There needs to be three of me just to keep up! Thanks Shantaie! 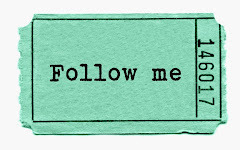 Following and loving!!! Congrats on getting the new blog up--it is amazing so far!!! entered in your giveaway. Thanks for your consideration. I, too, signed up as follower on both bogs! Can't wait to see more! Thank you for this opportunity!
" I will follow you....." Name that song! So glad I found your blog. I am now a follower and I also follow the official cricut blog. I joined the Cricut blog & now I have joined yours. I love finding new cricut blogs. Thanks for the chance to win! I'm now following both...what fun! I'm a follower of both your blog and the cricut blog. Found out about both through 217 Creations. Thanks. I'm following both your blog and the new Cricut blog and lovin' both!! Thanks for this awesome chance! Following your blog and the cricut blog!! Thanks! I'm a follower of both blogs! Thanks for the chance to win! Looking forward to seeing awesome projects! I am following both blogs and glad I found them. I will be checking in often. Bunches of inspiration and a contest as well what more could a crafting addict ask for? I'm now a follower here and on the Cricut blog so enter me in that super contest! Following both now! Thanks for the chance to win! Always loved your projects! Thank you for the chance to win. I am now following both blogs. I am following both....love this blog! Love Cricut! Today is my birthday and would love to hear that I won a cartridge! I'm a follower on your blog and the cricut blog. Thanks for such a great giveaway! I'm a follower of your blog and the cricut blog. Thanks! Oh wow! I just found out about the Cricut blog. I just signed up to be a follower. I am now a follower on both blogs. Great giveaway!! Thanks!! Hi, I am following both your blog and the new cricut blog. :) Thanks for the chance to win those great prizes. I have been a follower of your blog and love it and have just became a follower of the new Cricut Blog! Awesome!!! I was already a follower of your blog and now I am a follower of the new Cricut Blog. Thanks for the chance to win such a great prize. How fun! I am following it all!! I love following you and now I follow cricut! thanks! What a fabulous giveaway, can't wait to see all the fun on the new blog! I am now a follower of both blogs. Thank You!! I don't see my post, so I'm trying againt. Thanks, for the opportunity to win some great prizes, Shantaie! I am a new follower of your blog and the Cricut blog! Following both you and the Cricut Blog! Thanks! I am following your blog and the new cricut blog. I enjoy your work on the circle blog. I am looking forward to the inspiration that the new blog will provide. Thanks for a chance at a great giveaway. Happy to be following you & Cricut blog for some wonderful inspiration! I am following you and the new Cricut blog. Thanks for he opportunity to win a great prize. I now follow the awesome new Cricut Blog! I posted the Blinkie on my Blog as well!!!!! Love the new blog!!!! I am now following both of the blogs. Thank you for the chance to win these great prizes. I'm following both blogs! Already put the blinkie on my blog yesterday and I'm loving the new Cricut blog! Great stuff! Hi Shantaie -- I am a follower of both blogs. Looking forward to the new Cricut blog!! 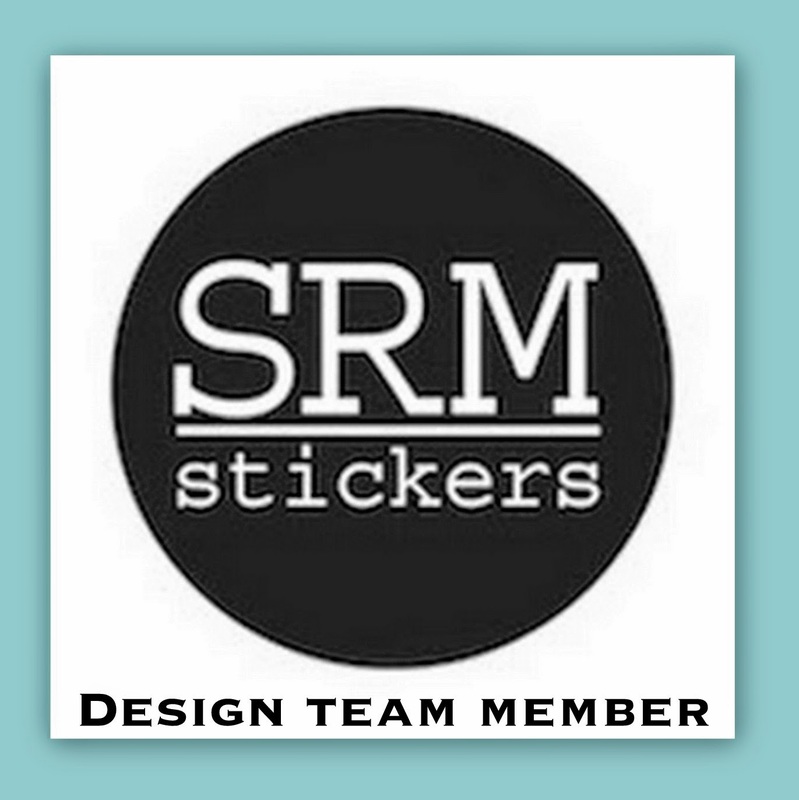 Hello I am a new follower of your blog and the new cricut blog!! What a great give-a-way!! I love your coffee cup layout. I need to go back to watercolors, I do love playing with them. I am a new follower of your blog and I also started following the new Cricut blog yesterday. 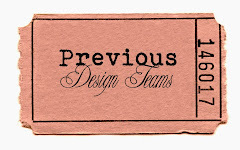 I love that card and I cant wait to see all of the projects on your blog and theirs! I love the coffee project here on your blog. I can tell I will get lots of inspiration from following both your blog and on the new cricut blog. Thanks for the chance to win. I am a follower of the Cricut Blog and now of your Blog. I am now a follower of both blogs...never followed a blog before, so not sure what this means lol! Thanks for the chance to win! I've been a follower of your blog since discovering you on the Circle Blog! I'm now a follower of the new Cricut Blog! Thanks for the chance to win! I am now a follower of your blog and the Cricut Blog. Thanks for a chance to win!